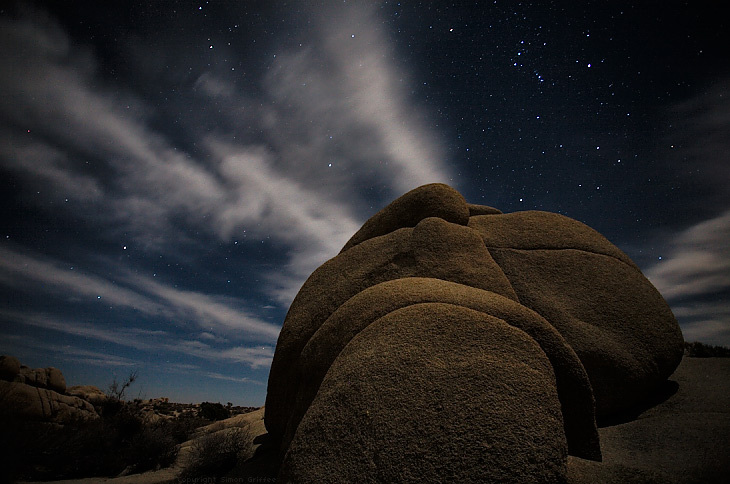 Twenty-five second exposure at around eight p.m. in Jumbo Rock campground at Joshua Tree national park. Mirror lock-up (Understanding Mirror Lock-Up - Luminous-landscape.com) was used. I believe the bright constellation on the top-right is Orion.